Struggling to balance your writing time with the sometimes overwhelming process of publishing and marketing your own book? You might just appreciate the value of what we at Outskirts Press call “One-Click Publishing.” All of our One-Click Publishing suites share the same core DNA—an understanding that indie authors shouldn’t have to shoulder the entire publishing burden and go it alone, foregoing professional insight just because they’ve chosen to leave the traditional publishing path. And what better partner in walking that path than the self-publishing company ranked #1 by Top Consumer Reviews? Since Outskirts Press offers separate One-Click Publishing packages for Fiction, Non-Fiction, Spiritual, Christian, Children’s, Cookbook and Memoir book genres, you can always be sure that the services included will be useful and not just throwaway extras. Consider, for example, our One-Click Publishing service for fiction books. It includes formatting, copyediting for up to 75,000 words, custom cover design, ISBN and barcode, wholesale distribution through outlets like Ingram and Amazon, an author webpage, one-on-one author support, a digital author galley as well as print author copies, tip sheets, 5 hours of consultation with a Personal Marketing Assistant, a press release, e-book editions, and a whole host of other features that would take too much room to list here. Our One-Click Publishing suites are easy to use, and by virtue of what economists call “Economies of Scale,” they also make products and services more affordable by bundling them together! They also help save you time and energy. Indie authors have a tremendous drain upon both in the form of publishing and marketing minutiae. After all, it’s unusual for any adult person to possess the skill to execute a beautifully designed book cover as well as the experience necessary to purchase an ISBN without hassle and to construct an effective social media marketing strategy. A carefully-chosen publishing package sets you free to do what you love most—write—without sacrificing something else important, like eating well, or sleeping eight hours, or time with your family. If you find yourself in a tight spot, we hope that you add our One-Click Publishing services to your list of possibilities. While our services and packages are all great, our people also shine. We’re proud to offer top-rated self-publishing services to some of the world’s most interesting and innovative authors. We’re here to make your job easier—and yes, to make sure you get to do the things you want to do, not just the things you have to do in order to sell your book. Spring Forward, Bump Up: Get FREE Publishing Upgrades in April! It’s simple, really: When you purchase the Ultimate, Basic or Economy publishing package in April, we’ll automatically bump you up to a better package at no charge. Interested in Full-Color Publishing? Pay for the Ultimate instead and get everything that comes with the Full-Color package. Did you only budget for the Basic package? If you purchase it now, you can claim all the extras that come with the more inclusive Ultimate Publishing. Or, purchase the Economy to receive all that the Basic includes. 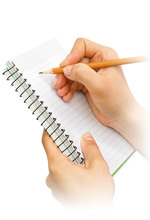 Enjoy more publishing services than you thought possible! Need help deciding on the right publishing package? Call a Publishing Consultant at 1-888-672-6657 (OP-BOOKS), or chat with us using the live chat option on our website for help selecting the option that fits. Our Website will be shut down for a short time on Sunday, July 31st as we prepare for the re-launch of the new Outskirts Press website. 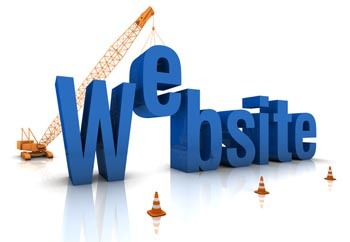 We apologize for the inconvenience, but we think that you’ll be happy with our new, improved website that will be up on August 1st. The new Outskirts Press will offer all-new publishing services, all-new branding, and an even deeper commitment to helping our clients publish the book of their dreams with personal service and quality products. We will continue to help authors develop and publish high-quality books by offering exceptional design, printing, publishing, distribution, and book marketing services. Steal the Limelight With a Custom Book Video Trailer! Voices echo in the auditorium as audience members take their seats. As the orchestra is tuning up, the overhead lights flicker to indicate a one-minute warning and a hushed but expectant silence falls. All eyes turn forward as the heavy velvet drapes are swept aside, leaving your book alone center stage, shining under the warm spotlights. This is the kind of metaphorical attention a book video trailer would have gotten you in the late 1800s, when playwrights were kings — but today, as you might have guessed, the advantages are even greater! In the modern world, a custom video trailer will put your book in front of countless new readers. It can be easily shared across any number of social media platforms—Facebook, Twitter, Tumblr, and many more — and embedded in your personal website, emails, or your Amazon and Goodreads book page listings. It’s an immediate, visceral way to showcase your work and hook the attention of new readers! Video is an ambitious medium, however. You need equipment, you need expertise, and above all you need lots of time to clip and edit and curate. The planning process alone is a gauntlet of tough choices, from theme to soundtrack to shot sequence — and this isn’t even to mention the hazards of navigating the legal side of things, with complicated copyright restrictions tied to using any music or images you didn’t compose or take yourself. It’s a lot to take on. The key is building a competent and creative team who can lift the burdens and leave you the fun choices — and this is where Outskirts Press can help! When you purchase the Book Video Trailer & Distribution package, we place the full power and expertise of our talented team behind your project. It’s as simple as 1-2-3! “It’s never that simple,” I hear you saying. But it is, it really is! Wait for the final cut of your book video trailer to be delivered to you by email and distributed to the public online! See? 1-2-3…your book is now out there in the world, stealing the limelight and reeling in the new readers. What could be more exciting than that? This kind of exposure with all of its built-in “shareability” is the stuff of playwrights’ dreams, and all you need to do is select the Book Video Trailer & Distribution package online at Outskirts Press. The rest, as they say, is history! 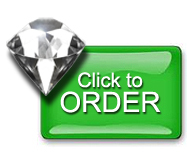 Click here to get started commissioning your very own custom book video trailer! It’s Your Book’s Time to Shine. Don’t Let That Blank Page Scare You! There is nothing more frustrating to an author than a cursor blinking on a blank page. You sit and wait for inspiration, drink too much coffee, and yet that cursor winks…mocking and teasing you. This horrifying experience can only be matched by getting midway through a manuscript, the first pages a masterpiece, only to get stuck and wonder where to go from there. Since we’ve all experienced this, we know that there are really only a couple of options when these moments happen: you either have to walk away from a manuscript that’s keeping you up at night or seek help. And that’s where Outskirts Press comes in. Because our main goal is to get you to the publishing finish line (hopefully without a forehead dent on your desk), we have established a team of skilled, professional writers to help you over that inspirational hump with a one hour Writing Consultation. We not only want you to be able to hold your hard work in your hands in the form of a published book, we want you to be excited and proud of what you’ve accomplished. After all, isn’t that why we’re all here? Once your consultation is complete, your consultant will provide you with a summary of what you’ve discussed so that you can reference it as you successfully move forward with your manuscript. As many authors know, it’s not the overall concept of a book that’s hard — the challenges lie in the details. So let us help you work through them and possibly expedite the writing process for you so that that moment when you’re holding that book in your hands comes quicker than you imagined. After all…you’ve waited long enough to make your dreams come true. 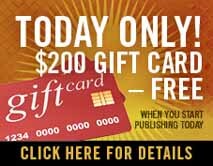 Today ONLY, receive $200 FREE Gift Card when you start publishing today! No Black Friday lines around here! In fact, we’re pleased to offer a very special gift to authors looking to publish TODAY ONLY: Receive a $200 Gift Card when you purchase a Diamond or Pearl publishing package! You can gift your $200 to that writer in your life so that he or she can start working towards their publishing dreams OR you can turn right around and use the $200 towards any optional production or marketing option that we offer. When you combine this promotion with the $400 of FREE upgrades already included with the Diamond package (standard press release distribution, Spring Arbor Christian distribution, streaming audio excerpt on your author webpage, cover photo from our image library) you’re looking at $600 worth of valuable upgrades! 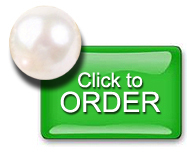 START TODAY by adding the Diamond or full-color Pearl package to your online shopping cart and then entering the promotion code: GIFT200 during check-out. Don’t delay! This offer is only valid today, November 27, 2015.